Sheesh! The year just zipped past and in two weeks’ time we will be done with the 2017 academic year. Slowly but surely we are winding down the activities for the year. 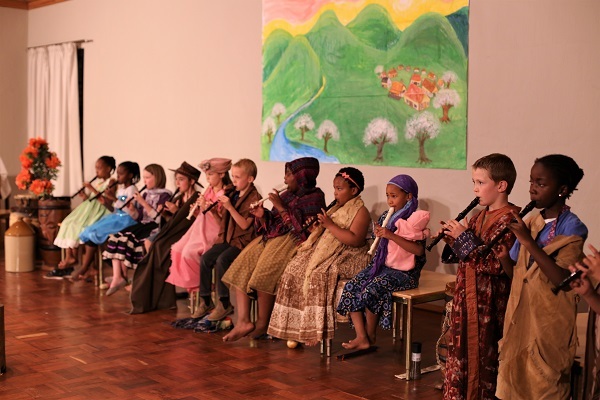 Both class 6 and class 4 still have their plays in the next week and we ask that you please support your child by showing up on these important events. The grade 9s wrote their last exam paper yesterday and will be leaving for their camp this coming Monday. Next Thursday evening, 30 November, the Middle School will bid their senior class farewell when they celebrate with a prom at the Packhouse. We have appointed a new Middle School English & social sciences teacher (effective January 2018) to take over from Oneira Pretorius (retiring at the end of this year, as previously mentioned). We are very excited to announce that Martin Coetzee will join the College, and will also be the class 7 guardian. We are very close to concluding our appointment of a class 2 guardian for next year, and will make a formal announcement in the last newsletter of the year. Chantelle Offerman’s (class 5 guardian) husband, who was in a very serious motor vehicle accident on 6 October, has been moved to Muelmed Hospital in the city to start his rehabilitation from his injuries. Chantelle has steadfastly kept on teaching through this whole ordeal. We appreciate, and recognise, that this could not have been easy at all, and we are thankful, and relieved that all has turned out well for Ockert. We sincerely hope that he will be able to be at home in time for Christmas. After the sudden passing of Cornelia Pretorius’ (Middle School science teacher) brother, she has decided to move back to Ellisras (Limpopo) to help manage the family farm with her husband. We have once again advertised the Middle School science position and will be conducting interviews next week. School closes for the fourth term on Wednesday, 6 December at 13:45. The children will receive their reports on the last day of school. NO reports will be handed out before the last day. A friendly reminder that your child’s report will be withheld if your school fees are in arrears and you did not make an arrangement with Linda in the school office. Our holiday programme kicks off from Thursday, 7 December and is available to all our Kindergartners as well as children up to grade 5. The Kindergarten staff will supervise the learners and the children will be served freshly prepared breakfast, lunch and teatime snacks. This service will be available at R160 per day. A bus service may be made available with a limited route at an additional cost of R50 per day. We will need a minimum of 5 children on the bus to make the transport financially viable. Please let Thea in the office know if your child will be attending the holiday programme; we need to do our meal planning in advance. The school office will be closed from Monday, 18 December 2017 to Friday, 5 January 2018. School re-opens for the 2018 academic year on Wednesday, 17 January. The buses will only start running after school on the 17th. The long, lazy summer holiday is looming…let’s make the most of the last two weeks of school!